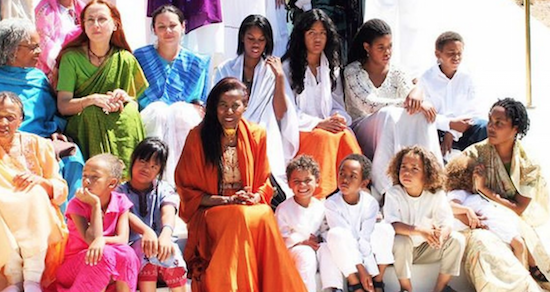 The Sai Anantam Ashram, a Hindu commune which Alice Coltrane founded in 1983, has been destroyed by recent wildfires in California. Coltrane's daughter, Sita Michelle Coltrane, said that the site which is situated in the Santa Monica Mountains of Agoura was destroyed by the Woolsey Fire which has destroyed numerous properties in the area. The ashram closed as a commune in 2017. "She created a space for spiritual practice that sadly has been consumed by the devastating California fires," Sita Michelle Coltrane said in a Facebook post. "Most of all the structures have been burnt to the ground, thankfully there was no loss of life." "The years of service, teachings and dedication that the guru exhibited will be shared with my children and grandchildren. They will remember Alice Coltrane Turiyasangitananda’s legacy as it was always so much more than brick and mortar." Last year saw the release of a retrospective compilation via Luaka Bop of music recorded by Coltrane during the time she spent living in the Sai Anantam Ashram, titled The Ecstatic Music of Alice Coltrane Turiyasangitananda. You can read a recent tQ essay on Alice Coltrane's work as she moved away from jazz here.